What are the cheapest cities to visit in the Caribbean Islands? The following travel cost rankings for cities in the Caribbean Islands are calculated based on the travel budgets of real travelers. 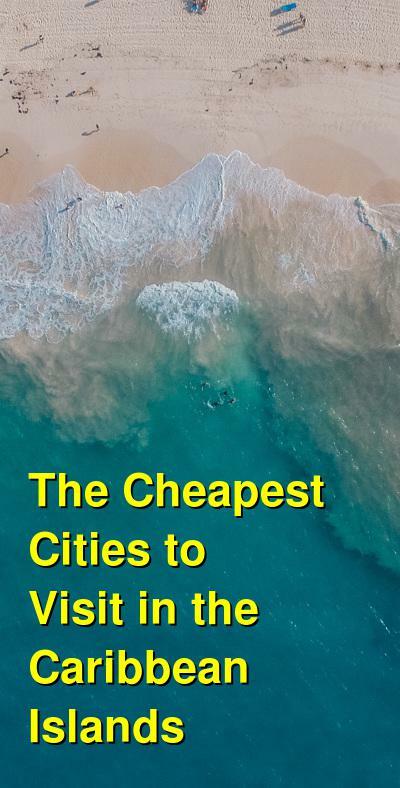 Also referred to as a Travel Cost Index, or a Backpacker Index, the cities below are in order from least to most expensive by their average daily travel price, per person, per day. As with most places around the tropical oasis of Jamaica, Montego Bay (or "MoBay") is an ideal place to visit for a Caribbean getaway. It is Jamaica's second largest city and the capital of St. James parish on the northern coast. 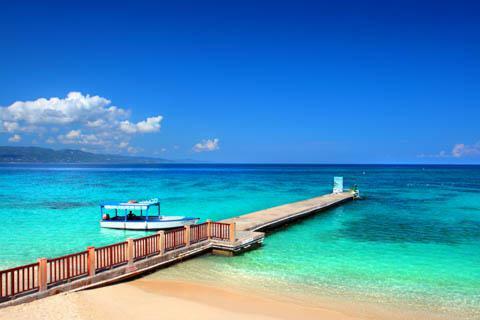 Montego Bay is considered to be the tourist capital of the country and is where the largest airport is located, bringing in many international travelers. 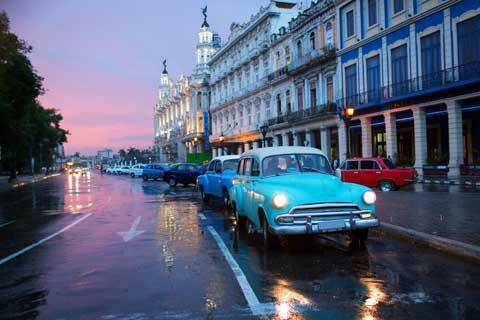 The most affordable cities for travel in the Caribbean Islands are currently Havana (Cuba), Ocho Rios (Jamaica), Mandeville (Jamaica), Kingston (Jamaica), and Nassau (Bahamas). The Caribbean is one of those places that should be on everyone's bucket list. The blue seas, the white sand beaches and alluring winter sun experience may seem like an unbelievably expensive holiday. Saint Barthelemy is one of the most expensive Caribbean island, and it has only a handful of small hotels, because most guests rent villas and condos instead. In reality, there are a few cheaper hotels here, but in-season this is really a scene best suited for those who are not on a budget. Flights are also expensive because you have to change planes nearby just to reach Saint Barthelemy. Only a few miles off St. Martin, Anguilla is a small and beautiful island that is near the upper end of the price scale for all of the Caribbean. Flights are expensive, though you can get here by ferry from St. Martin, but hotels are all very expensive as well. A few of the resorts here and in St Martin are among the priciest in all of the Caribbean. The Bahamas along with the British Virgin Islands (Tortola) and the US Virgin Islands (St Thomas, St Croix) are also not recommended for budget travellers. However, in reality a trip to the Caribbean doesn't have to cost the earth if you don't want it too. Getting to the exotic island hub is no hassle at all since there are numerous direct flight packages offering hefty discounts and interesting perks. The Caribbean is brimming with beautiful marine life including bottlenose dolphins, coral, rays, turtles and rainbow coloured tropical fish. Festivals are very important in the Caribbean and they reflect the rich cultural diversity and history of the region. What makes this place vibrant and wow-worthy is its multi-cultural vibe and lifestyle that combines cultural elements from Chinese, African, Indian and British influences, which can be easily spot during the celebratory dance routines. As well as the beautiful scenery, the Caribbean offers a huge range of accommodation types ensuring you'll find something that is tailor made for your needs. Whether you are looking for a family friendly place, a luxurious Caribbean resort located in an UNESCO world heritage site or a more adventurous experience on a budget. For the latter, the Tayrona National Natural Park in the Colombian northern Caribbean region rents hammocks in huts on the beach at San Juan del Cabo for around 1 pound a night. With its scintillating landscape, breathtaking locales, sandy beaches and dense rainforests, the Caribbean is easily one of the best vacation spots.